Only if you live on them. The great thing is they still look and feel fantastic. 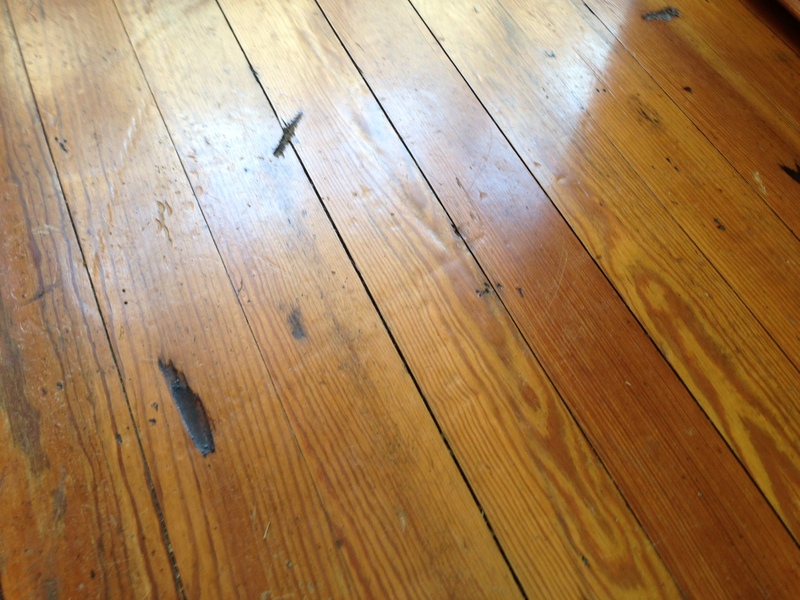 This 3″ Heart Pine wood floor is 80 years old and has only been refinished once. A few battle scars here and there but still full of life. These floors have taken a beating over 80 years but are still going strong. Wood floors have the distinct ability to be both durable and naturally beautiful. 2 Responses to Do Hardwood Floors Scratch? I’d take a floor that looks like that over a simulated “made to look like wood” LVP floor every day of the week! REAL wood will always be so much more beautiful. I’m with you Tim. Our pine floors at home have some dings and dents but they still look great.